World Translation Center provides professional Danish translation services for English to Danish and Danish to English. We can also translate Danish to and from over 150 other languages, including all the principal languages of Europe, Asia, South America, the Middle East and a number of African languages, at affordable rates. Our Danish professionals have the ability to provide translation for any project you might have, including marketing materials, technical, financial, legal and medical documents, websites and software. Our experienced project managers will match your project with a translator team appropriate for the field of expertise required. Each individual linguist works solely in his or her own mother tongue and within his or her field of expertise guaranteeing not only quality translation, but proper localization at the same time. After each document is translated, it will be edited and proofread by an additional professional translator to ensure highest possible quality. We also provide transcription, video recording and subtitling services. Should you need to have an existing video dubbed, a commercial narrated or a telephone system recorded, our native Danish speakers are available to furnish expert voiceover services. Danish is a North Germanic language with speakers mainly in Denmark, but also in Greenland, Germany, Norway, Sweden, Canada, the UAE and the USA. Danish was the official language of Norway until about 1830 and of Iceland until 1944. Danish is now the first foreign language taught and learned in Iceland. Denmark is a Scandinavian country in northern Europe and the senior member (with Greenland and the Faroe Islands) of the Kingdom of Denmark. It is the southernmost of the Nordic countries. The country consists of a large peninsula, Jutland (Jylland) and many islands, most notably Zealand (Sj�lland), Funen (Fyn), Vendsyssel-Thy, Lolland, Falster and Bornholm as well as hundreds of minor islands often referred to as the Danish Archipelago. Denmark has long controlled the approach to the Baltic Sea, and these waters are also known as the Danish straits. 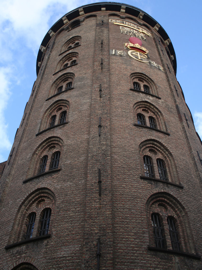 Denmark is a constitutional monarchy with a parliamentary system of government. Denmark has a state-level government and local governments in 98 municipalities. Denmark has been a member of the European Union since 1973, although has not joined the Eurozone, a currency union among the European Union member states that have adopted the euro as their sole official currency. Denmark is a founding member of NATO. Denmark, with a free market capitalist economy, and a large welfare state, ranks, according to one study, as having the world's highest level of income equality. From 2006 to 2008, surveys ranked Denmark as "the happiest place in the world," based on standards of health, welfare, and education. The 2008 Global Peace Index survey ranks Denmark as the second most peaceful country in the world, after Iceland. Denmark was also ranked as the least corrupt country in the world in the 2008 Corruption Perceptions Index, sharing a top position with Sweden and New Zealand. In 2008, the capital and largest city, Copenhagen, was ranked the most livable city in the world by Monocle magazine. The first written work of Danish literature was "Gesta Danorum" (History of the Danes) written in Latin in about 1200 by Saxo Grammaticus. This recounts the history of Denmark up to 1186 and includes Danish versions of Scandinavian myths and sagas, including the earliest version of the Hamlet story.